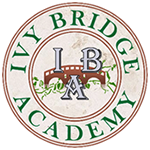 Ivy Bridge Academy is offering 1 week long Coding & Computer Programming Summer Camp sessions. . The program is open to all students entering 4th-12th grade, and includes all levels of Coding, Computer Programming, & Game Design (Scratch, Python, Java). The program runs weekly Summer 2017. Monday to Friday: 9am-4pm..